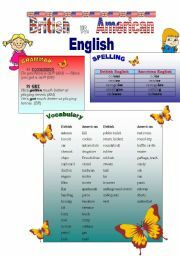 Some differences between British and American English in vocabulary , grammar and spelling. Practice on the second page. The ideal song to deal with "peace". 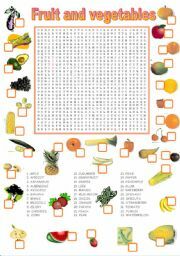 Fruit and vegetables: wordsearch and matching activity (pictures and names). Thanks for downloading. 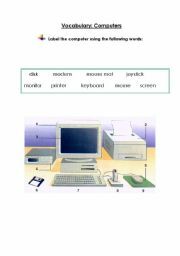 A matching activity about words related to computers. 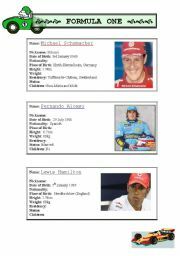 Incomplete cards to exchange information about known Formula One drivers and use comparison. 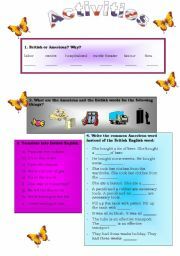 Reading to help in the class debate. 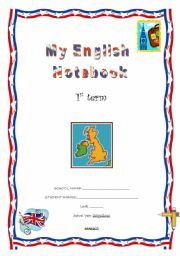 Means of transport in a minmap. 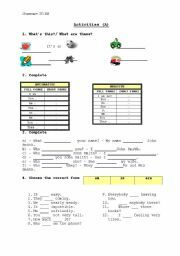 The size is reduced in order to upload but you can change it before print it. 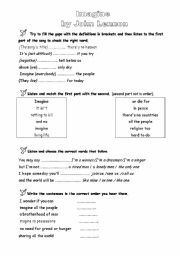 Easy activities to review the present simple of verb to be.